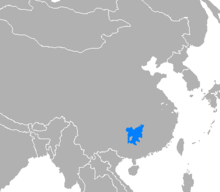 Xiang or Hsiang, also known as Hunanese, is a group of linguistically similar and historically related varieties of Chinese, spoken mainly in Hunan province but also in northern Guangxi and parts of neighboring Guizhou and Hebei provinces. Scholars divided Xiang into five subgroups, Chang-Yi, Lou-Shao, Hengzhou, Chen-Xu and Yong-Quan. Among those, Lou-shao, also known as Old Xiang, still exhibits the three-way distinction of Middle Chinese obstruents, preserving the voiced stops, fricatives, and affricates. Xiang has also been heavily influenced by Mandarin, which adjoins three of the four sides of the Xiang speaking territory, and Gan in Jiangxi Province, from where a large population immigrated to Hunan during the Ming Dynasty. During Qin and Han dynasty, most part of today's Eastern Hunan belonged to Changsha-Xian/Changsha-Guo. According to Yang Xiong's Fangyan, people in this region spoke Southern Chu, which is considered the ancestor of Xiang Chinese today. During the Tang dynasty, a large-scale emigration took place with people emigrating from the north to the south, bringing Middle Chinese into Hunan. Today's Xiang still keeps some Middle Chinese words, such as 嬉 (to have fun), 薅 (to weed), 行 (to walk). Entering tone vowels started weakening in Hunan at this time. The late Yuan Dynasty peasant uprising caused a great many casualties in Hunan. During the Ming dynasty, a large-scale emigration from Jiangxi to Hunan took place. Gan, which was brought by settlers from Jiangxi, influenced Xiang. The speech in east Hunan differentiated into New Xiang during that period. Quanzhou County became part of Guangxi province after the adjustment of administrative divisions in the Ming Dynasty. Some features of Xiang at that time were kept in this region. Dialect map of Hunan Province. New Xiang orange, Old Xiang yellow, Chen-Xu Xiang light red. Xiangnan Tuhua dark green and medium green. Since the classification of Yuan Jiahua (1960), Xiang has been considered one of seven major groups of varieties of Chinese. Jerry Norman classified Xiang, Gan and Wu, as central groups, intermediate between the Mandarin group to the north and the southern groups, Min, Hakka and Yue. In Xiang dialects, the voiced initials of Middle Chinese yield unaspirated initials in all tone categories. A few varieties have retained voicing in all tones, but most have voiceless initials in some or all tone categories. Pervasive influence from Mandarin dialects has made Xiang dialects difficult to classify. Xiang is traditionally divided into New Xiang, in which voicing has been lost completely, and Old Xiang varieties, which retain voiced initials in at least some tones. Changsha dialect is usually taken as representative of New Xiang, while Shuangfeng dialect represents Old Xiang. Norman describes the boundary between New Xiang and Southwestern Mandarin as one of the weakest in China, with considerable similarities between dialects near either side of the boundary, though more distant dialects are mutually unintelligible. Indeed, Zhou Zhenhe and You Rujie (unlike most authors) classified New Xiang as part of Southwestern Mandarin. Within New Xiang and Old Xiang, there are also many different sub-dialects. (17.8 million speakers) voiced initials in Middle Chinese become unaspirated voicless consonant. 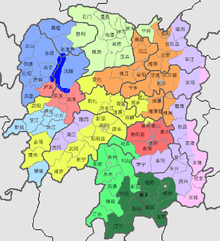 Most of the dialects of New Xiang retain the entering tone as a separate category. (11.5 million speakers) Voiced initials still exist. The entering tone does not exist in most of the dialects. (3.4 million speakers) Some of the voiced consonants are retained. (6.5 million speakers) Voiced consonants still exist. Sometimes Yong-Quan dialects are considered a variety of Old Xiang. 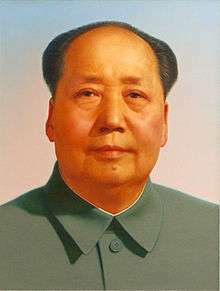 Mao Zedong was a native speaker of a Xiang dialect. 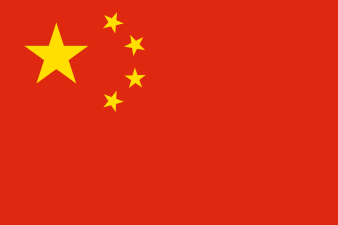 Xiang is spoken by over 36 million people in China, primarily in the most part of the Hunan province, and in the four counties of Quanzhou, Guanyang, Ziyuan, and Xing'an in northeastern Guangxi province, and in several places of Guizhou and Guangdong provinces. It is abutted by Southwestern Mandarin-speaking areas to the north and west, as well as by Gan in the eastern parts of Hunan and Jiangxi. Xiang is also in contact with the Qo-Xiong Miao and Tujia languages in West Hunan. *Small part of this territory belongs to this Xiang subgroup. **Included in Xiang only in Language Atlas of China. ↑ Hammarström, Harald; Forkel, Robert; Haspelmath, Martin; Bank, Sebastian, eds. (2016). "Xiang Chinese". Glottolog 2.7. Jena: Max Planck Institute for the Science of Human History. ↑ 徐, 明. "60%湖南人是从江西迁去的 专家：自古江西填湖广". 人民网. Archived from the original on February 21, 2014. Retrieved 17 February 2014. ↑ Qi, Feng (October 2010). "辛亥革命，多亏了不怕死的湖南人". 文史博览 (2011年第10期). Retrieved 17 February 2014. ↑ Ma, Na. "揭秘：建党时为啥湖南人特别多 都有哪些人？". 中国共产党新闻网. Retrieved 17 February 2014. ↑ Liu, Shuangshuang (20 July 2005). "湖南表兄称马英九祖籍湖南湘潭 祖坟保存完好". Xinhua Net. Retrieved 17 February 2014. ↑ 袁家骅 (1983). 汉语方言槪要. p. 333. ISBN 9787801264749. ↑ Norman 1988, p. 181. ↑ Norman 1988, pp. 181–183. 1 2 3 Norman 1988, p. 207. ↑ Yan 2006, p. 107. ↑ Norman 1988, p. 190. ↑ Zhou & You 1986. ↑ Kurpaska 2010, p. 55. ↑ Yan 2006, p. 114. Bào, Hòuxīng 鮑厚星; Chén, Huī 陳暉 (2005). "Xiāngyǔ de fēnqū" 湘語的分區 [The divisions of Xiang languages]. Fāngyán: 261–270. Norman, Jerry (1988). Chinese. Cambridge, England: Cambridge University Press. ISBN 0-521-29653-6. Wu, Yunji (2005). A synchronic and diachronic study of the grammar of the Chinese Xiang dialects. Trends in linguistics. 162. Berlin, New York: Walter de Gruyter. ISBN 3-11-018366-8. Yuan, Jiahua (1989) . Hànyǔ fāngyán gàiyào 漢語方言概要 [An introduction to Chinese dialects]. Beijing: Wénzì gǎigé chūbǎnshè 文字改革出版社. Zhou, Zhenhe; You, Rujie (1986). Fāngyán yǔ zhōngguó wénhuà 方言与中国文化 [Dialects and Chinese culture]. Shanghai Renmin Chubanshe.